Shortly before last Christmas time, the Rev. 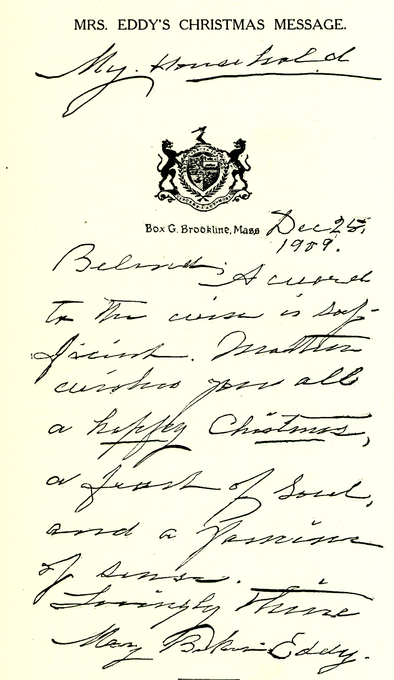 Mary Baker Eddy, wishing to make a Christmas present to some of the good folks of Concord,— her home,— sent to the Journal a large list of names accompanied with her check for the total year’s subscription. 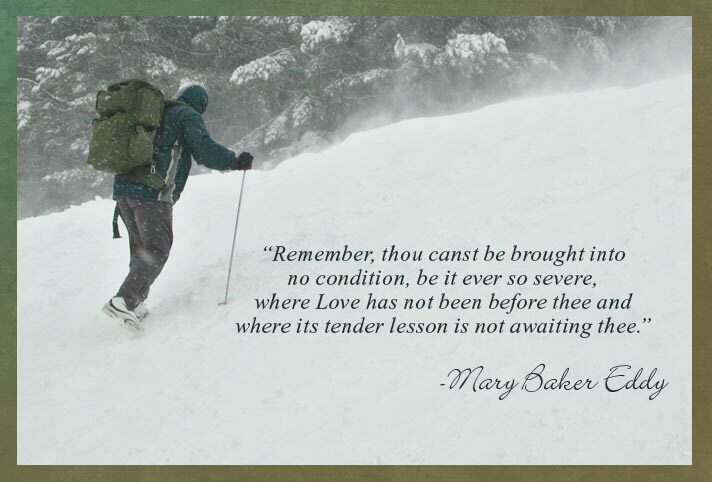 She did this at a time when she was unusually burdened with labor and care, and we doubt not those who were thus remembered will appreciate the spirit which animated the gift, whatever may be their views upon the subject of Christian Science. Beloved:—A word to the wise is sufficient. Mother wishes you all a happy Christmas, a feast of Soul, and a famine of sense.